- Dr. Ardelean led the group of nine senators and MPs, including former Foreign and Justice Minister Dr. Titus Corlatjan. They spent the whole day in Oslo, and I was with them the whole time, doing my best to connect them with the Norwegian government agencies, says Jan-Aage. - It is incredible to see the passion these top politicians have to help this family in need. Very unlike the negative attitide that Norwegian politicians are showing at the moment. 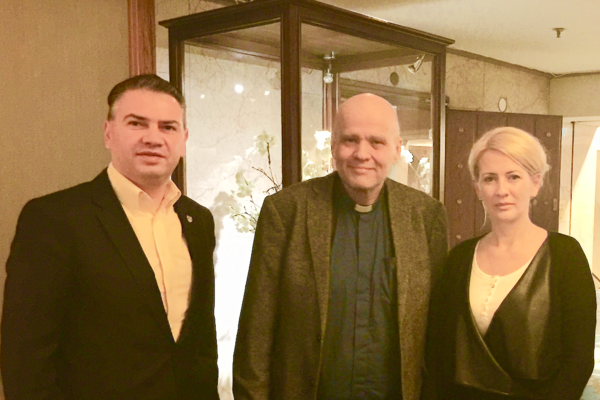 At the end of the day, Jan-Aage Torp was invited to a reception at the Romanian Embassy in Oslo, where he was interviewed by national Romanian television.